Venezuelans have a unique avocado dip called guasacaca, which is really not guacamole, but more of a creamy avocado sauce. It has a stronger flavor than guacamole, often seasoned with vinegar instead of lime juice (though not always) and lots of garlic. It's often served as a sauce for grilled meats but is excellent with fried plantain and fried yuca (for dipping) as well as with tequenos (Venezuelan fried cheese sticks) and empanadas. There are many variations of guasacaca but all have avocado, green pepper, onion and some fresh cilantro and parsley. Most Venezuelans make their guasacaca with aji dulce, a sweet chile pepper. Some versions also have tomato, while other people add mayonnaise. And there are even those who make it with green bell peppers and no avocado at all! 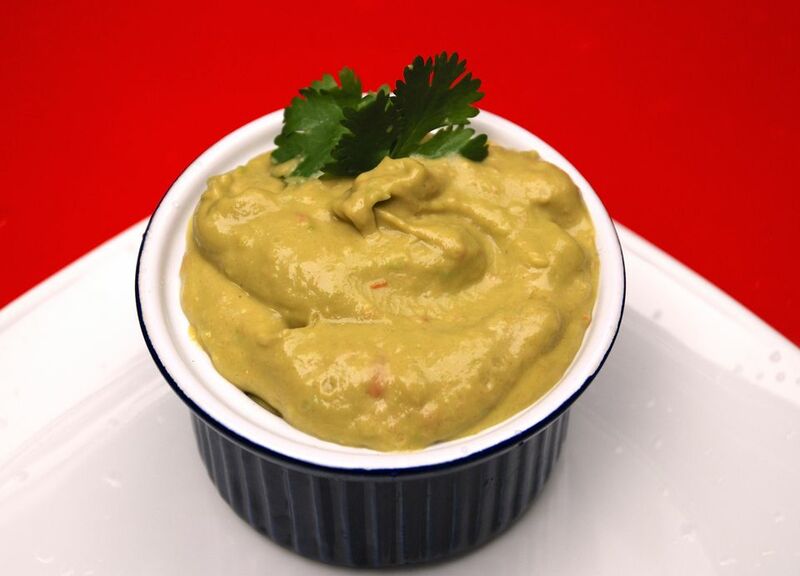 Usually, the ingredients are mashed or mixed in a blender to produce a very creamy sauce, but some people prefer a chunkier guasacaca with a texture similar to guacamole. Serve guasacaca with tortilla chips, fried plantains and especially with grilled steaks and chicken. Remove the flesh from the avocado, dice, and place in a bowl. Toss with a pinch of salt and the vinegar. Mash until creamy. Add the green pepper and onion and mix. Add the garlic and chili pepper (if using) and mix to combine well. Add the vegetable oil, chopped tomato (if using) and the cilantro or parsley and combine. If you prefer a smoother guasacaca, place all the ingredients in a blender or food processor, and process until smooth.